One of the world’s most famous human songbirds loved and sang gospel all his life. And just as the “King of Rock and Roll” gravitated to gospel’s soaring melodies and deep serenity, your birds will flock to the serene and comforting sanctuary of Graceland. 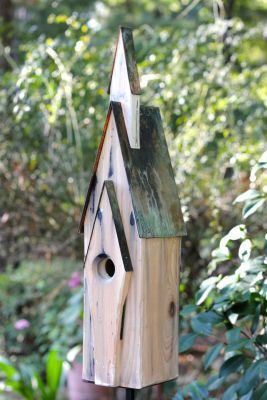 Graceful in every sense, this chapel will be cherished by your birds practically until kingdom come, thanks to superb cypress construction featuring copper verdigris roof. Bless your birds with beauty and comfort.